We may still be experiencing the summer heat in SA, but that doesn't mean you can't start planning your winter holiday! 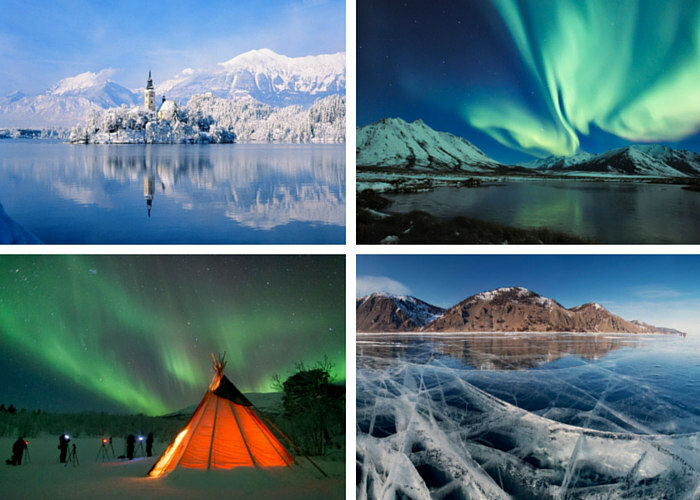 Here are some of the most beautiful and magical winter destinations around the world. 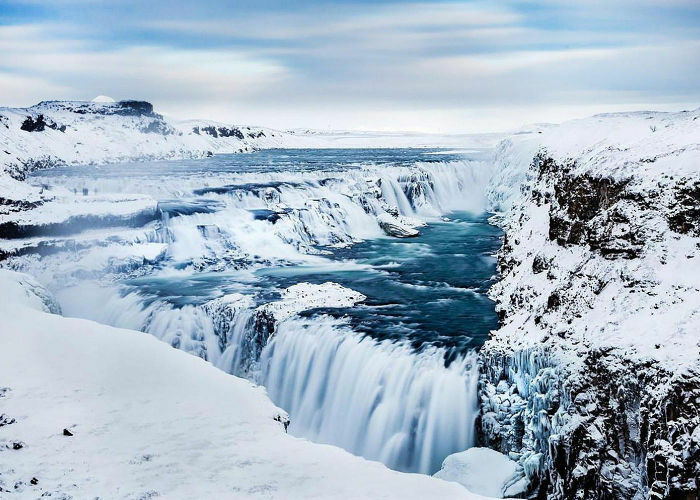 Located in south-west Iceland, the Gullfoss waterfall is the second largest glacier in Iceland. While beautiful in the summer, it’s even more amazing when it freezes in the winter. 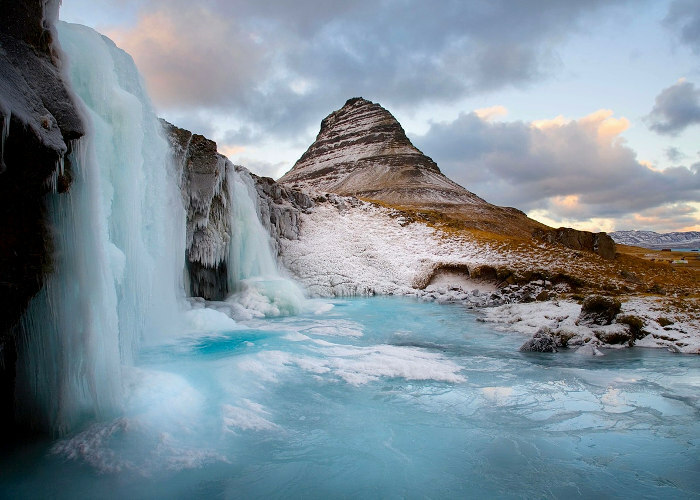 The waters turn vibrant shades of turquoise, while the rocks around the waterfall gather ice and snow. Even though there's not much to do in the area besides gawk at the waterfalls, a trip to Gullfoss is well worth it if you'd like to experience untouched nature at its best. You can’t get much higher than this little mining town in Norway! 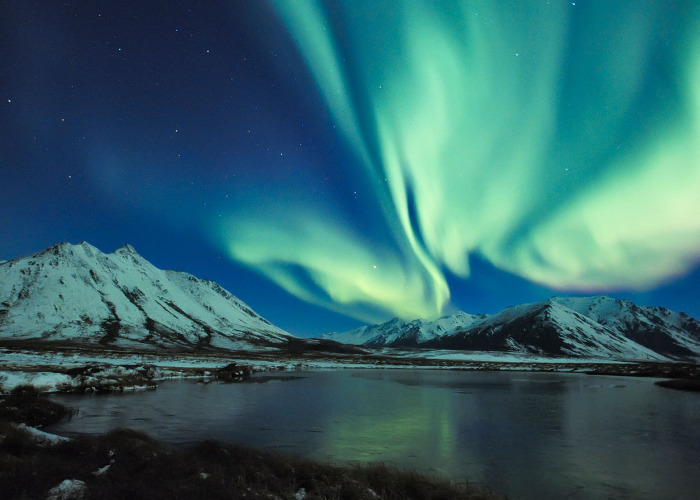 It’s one of the northernmost inhabited areas in the world, making it a prime location to catch the Northern Lights. The town also experiences something called 'Polar Night', which takes places between mid-November and the end of January. This is when the sun doesn't rise during, and the lightest the sky gets is a bright blue twilight - but this lack of sunlight betters your chances of spotting the aurora borealis. Between the large mountains, polar bears and spotting the aurora borealis, there's plenty to see in Svalbard. If you're not fond of winter, this is one place that will change your mind! This picturesque lake can be found in the Julian Alps in north-western Slovenia. The lake surrounds Bled Island, which houses several buildings, including a church where a good number of people get married each year! Fun Fact: It’s considered good luck for the groom to carry his wife up the 99 steps of the church’s tower to ring the bell at the top. During winter, the lake turns a frosty blue and mirrors the snowy mountains on its surface. 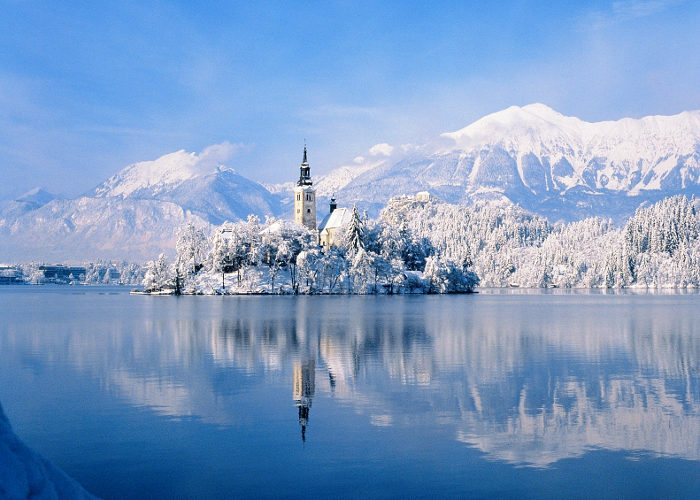 If you're into skiing, waterfalls, pools, and caves, add Lake Bled to your winter wishlist. 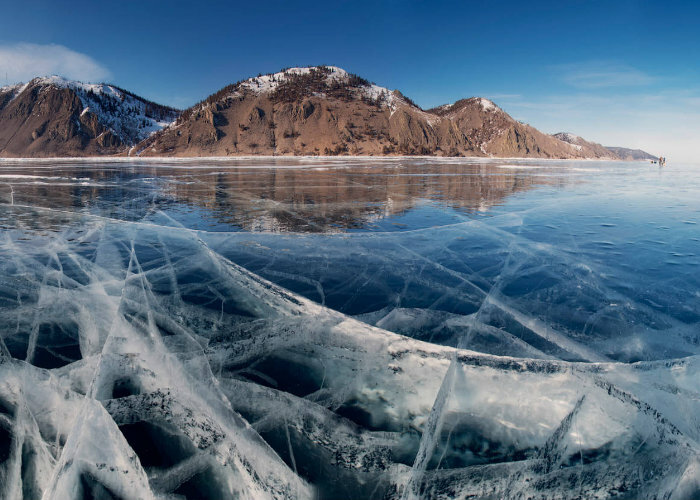 Most people will tell you that going to Russia in the winter is not the best idea, but those willing to take the risk get to enjoy the views of Lake Baikal - known as the “Sacred Sea” by the peoples who inhabited the region. The word’s deepest freshwater lake is certainly an attraction any time of year, but in the winter, the is becomes a 19 000-square-km ice rink! Other than that, you can go on a dog-sled or snowmobile tour, or ice diving and rafting if the lake isn't completely frozen over. The little town located just west of Heber City is a beautiful place to experience winter. There’s skiing, horse-drawn sleds, and plenty of majestic sights. Thanks to a geo-thermal caldera, there’s also year-round scuba diving in the 32-degree celsius waters. 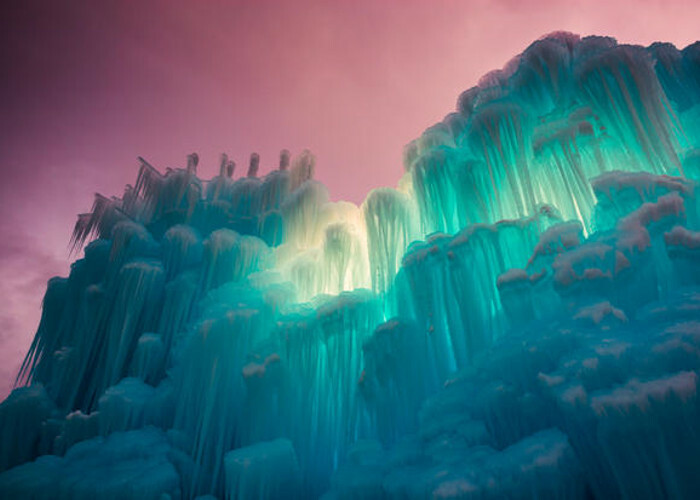 The biggest draw though are the ice castles built annually by teams of artists. Visitors can explore the massive and intricate structures, constructed using 20 million pounds of ice. 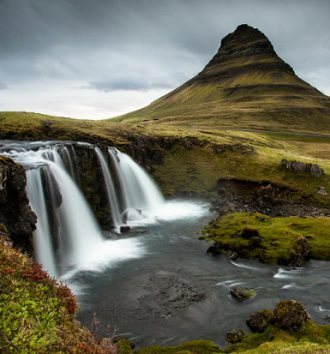 Kirkjufell is a mountain that looks straight out of a fairytale! This unusually shaped mountain is beautiful in the springtime, but becomes truly magical once it's covered in snow. It's also one of the most photographed sights in the area, but it’s even better when seen in real life. When you’re done, you can visit Grundarfjörður, a small town with a population of just 900 people. How quaint! If you're interested in experiencing true Nordic wildlife, this is the place for you! 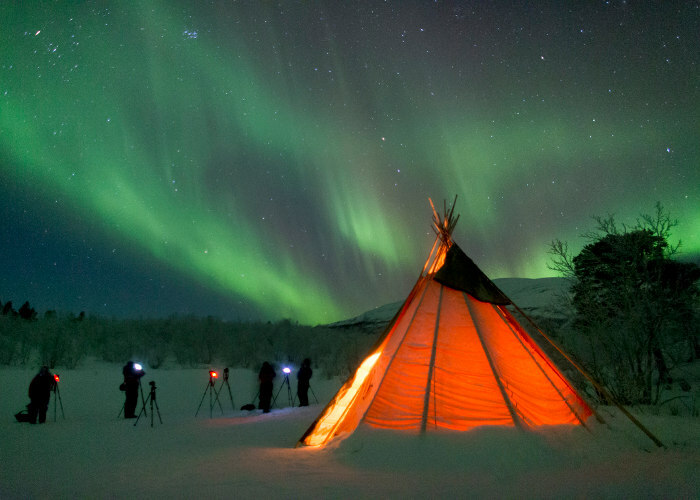 Abisko is home multitudes of reindeer, a vibrant national park, and best of all - frequent appearances of the aurora borealis! Locals and tourists alike enjoy dog sledding, ice fishing, and telemark skiing – a traditional downhill skiing using cross-country skis. We don't know about you, but we've already got our gloves and snow boots out and ready to go! 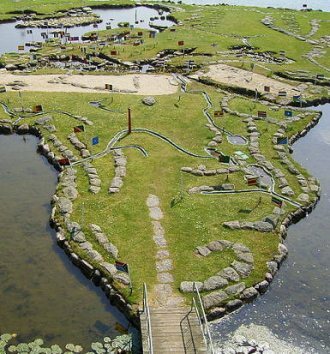 At the Verdenskortet in Denmark, you you can stroll across Africa, jump over to Europe and cross the great oceans – all in one afternoon! 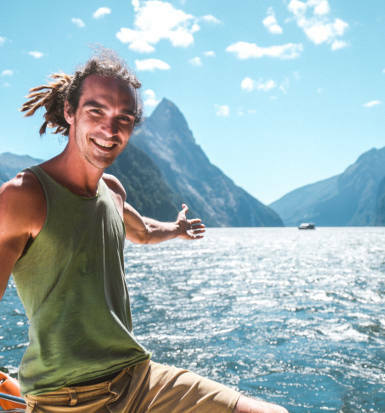 Expresso profiles some of the top travel and adventure YouTubers. 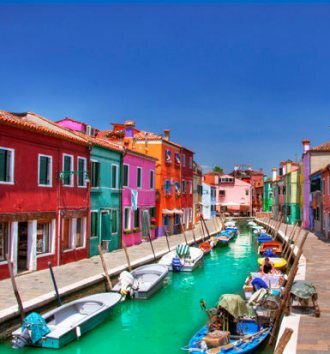 Most cities are colourful, from the architecture to the interesting people, but some cities are more colourful than others.